The name tags are self-adhesive, easy to peel off and paste on anywhere you want, convenient to use. Great objects for marking your books, notebooks, or classifying your jars, bottles, containers, boxes and other things. Fit for offices, schools, family use. Made of quality paper and adhesives, durable, non-toxic and not easy to fall off, you can use them safely for a long time. 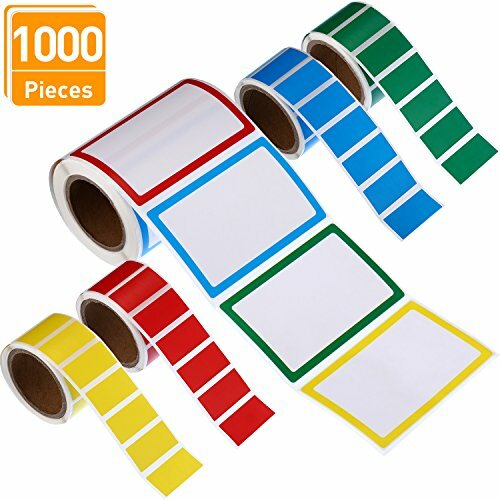 Each roll of name labels contain 200 pieces label stickers. If you have any questions about this product by Blulu, contact us by completing and submitting the form below. If you are looking for a specif part number, please include it with your message.